Got something awesome for you. 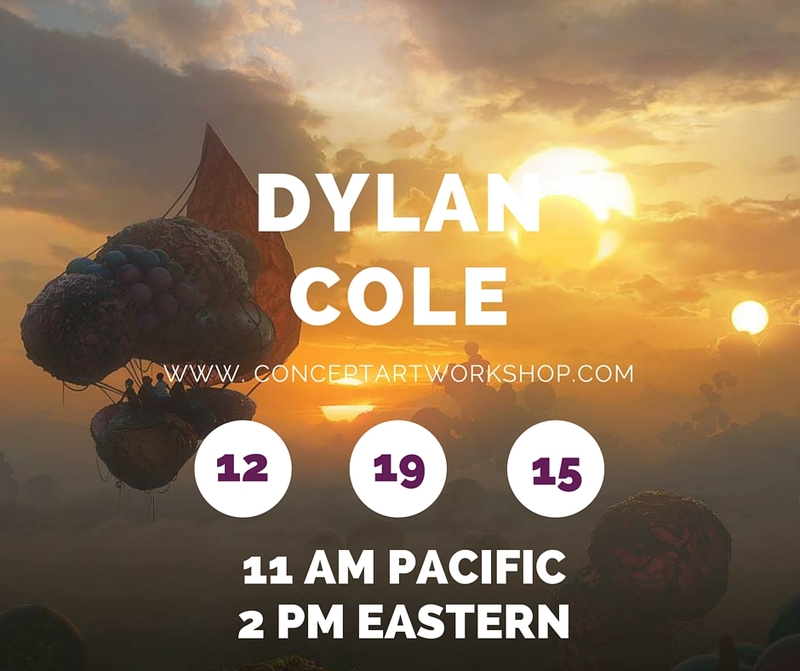 Production Designer Dylan Cole is joining me this Saturday at 11 AM Pacific / 2 PM Eastern to talk about designing for film and his upcoming unique class. Dylan is going to be doing 8 weeks of online mentoring followed by a Live Event in Ryan Kingslien's gallery in Laguna Beach, California. We're gonna talk more about this course during the webinar but I want to make sure you understand that registration is extremely limited. We are aiming at about ten people into his course to maximize the personal attention. See ya in the webinar!